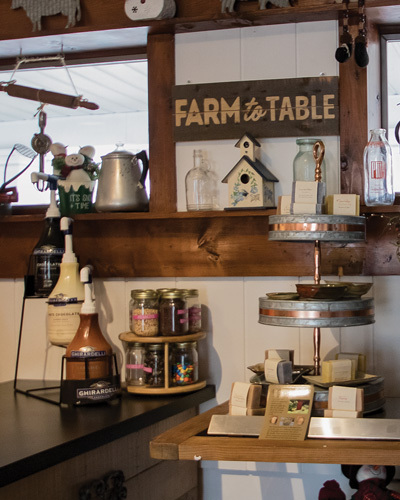 There is no formal definition for a “farm-to-table” menu, but diners usually expect that so-described selections are prepared with locally sourced ingredients supplied directly by farmers who have raised their crops or livestock without the use of pesticides or hormones. Is this just another exclusive food fad, or can it be part of a social movement towards a sustainable local economy in Northwest New Jersey? 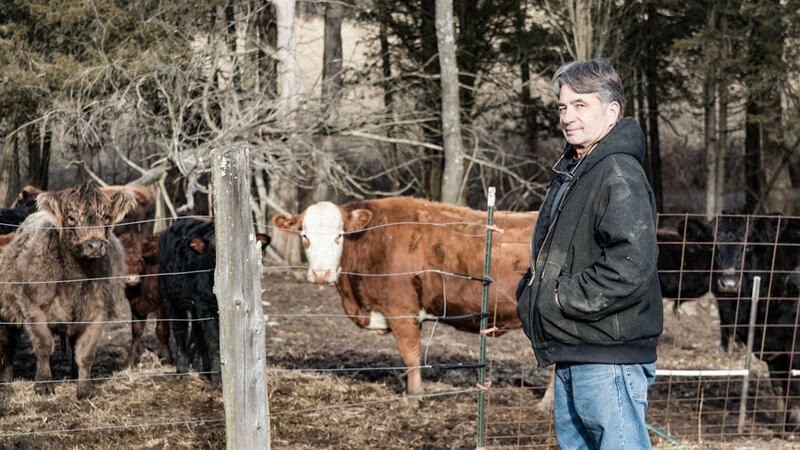 Lou Tommaso at LL Pittenger Farm in Andover provides grass-fed beef, chicken and pork for several area restaurants, as well as for the general public. The cheese and charcuterie board, a staple at James On Main restaurant in Hackettstown, utilizes the local charcuterie produced from Tommaso’s Berkshire hogs. The big old Anderson Hotel on Route 57 in Port Murray has new life. The Country Corner Store and Café has settled in on the ground floor, welcoming a steady stream of patrons with a sign mounted on the back wall, painted with the comforting words “Farm To Table.” The café’s owner, Christina Seeger, explains, “We take pride in using local meats, produce, dairy, eggs and any other products that are available. One of our goals is to become fully sustainable. The main objective and motivation in using local products is the confidence in knowing where our food is produced, along with supporting our local agricultural businesses.” If nothing else, the farm-to-table signature assures customers that they can dine in comfort knowing their food is carefully prepared and safe for consumption while allowing them to “give back to their community with every bite.” Christina has located her farm providers through family friends and suggestions of peers, partners easy to find in the local Warren County agricultural community. Don Sherman serves up an order to go. 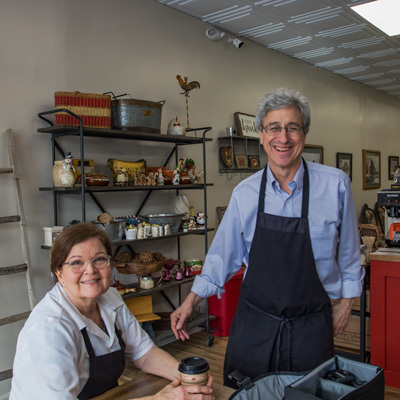 Starting this spring, Soups On Main will also offer Monday evening classes where you can meet local farmers, holistic practitioners, educators, lawyers, health and wellness advocates and other potential contributors to your well-being. Instead of pointing fingers and complaining about the challenges we face today, Don and Donna decided to do something about it. In addition to trying to educate the public, they wanted to offer people an alternative to the typical “fast food” restaurant—healthy, organic style fare. What does “organic style” mean? 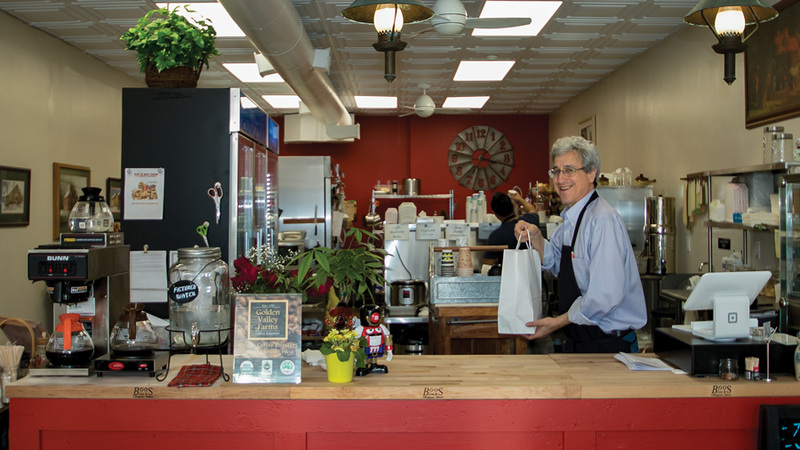 Soups on Main provides organic style soup, made fresh daily, in a convenient, healthy environment. There are dozens of delicious hardy soups, all of which contain ingredients that are locally sourced, often times being delivered by the local farmer right to the store. The organic sourdough bread is baked in store daily, as are their organic cookies and other offerings. You’ll also find a farmhouse chopped Cobb salad as well as wraps and grilled cheese sandwiches on the menu. The day’s menu is posted online each morning so that you can pre-order for quick pick up or delivery. Or enjoy your soup, salad or sandwich in the restaurant’s casual friendly atmosphere. Get it while it’s hot: farm-to-ladle, pot-to-table, organic style!